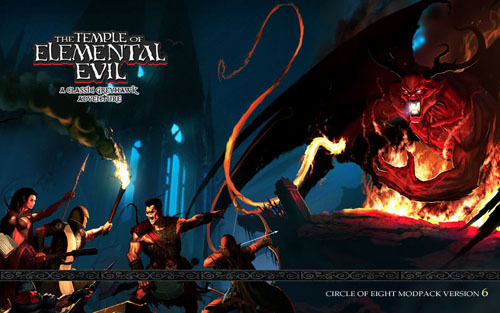 Just came across this mod for Temple of Elemental Evil from The Circle of Eight. I've gotta admit, I've always want to play the game, but had kept avoiding it, due to the dismal reviews. Nor did I have the heart to try one of the Neverwinter Night's user based modules of ToEE. This mod aimed to fix all the problems, and even added new content. For this reason, its time to put on my ol'school RPG hat and dive into one of the classic D&D modules. Additional info from their forum.